Photographers and illustrators filed a lawsuit against Google on Wednesday, claiming that the search engine displays copyrighted images in books it scans, without fairly compensating the people who created the images. The American Society of Media Photographers is leading the class-action lawsuit, which was filed on Wednesday in U.S. District Court in New York, according to a news release. Visual artists were not allowed to join a previous lawsuit filed against Google by book authors and publishers, who charged that Google was not fairly compensating them for books and excerpts posted online as part of its Google Books project. That project aims to digitize the world's books, creating a huge online library. James McGuire, who represents the ASMP in the lawsuit against Google, told the Financial Times that the visual artists "are not trying to crash the party or influence what is happening with the other class action. We are just trying to get the best possible result for this class of plaintiffs." Google says its trying to make information more universally available. "We are confident that Google Books is fully compliant with U.S. and international copyright law," Gabriel Stricker, a Google spokesman, wrote in an e-mail message to CNN. 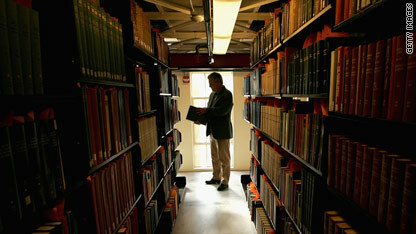 "Google Books is an historic effort to make all of the knowledge contained within the world's books searchable online. It exposes readers to information they might not otherwise see, and it provides authors and publishers with a new way to be found." The ASMP is joined by the Graphic Artists Guild, the Picture Archive Council of America, the North American Nature Photography Association, Professional Photographers of America and others in its filing against Google. Wonderful work! That is the type of info that are meant to be shared across the web. Disgrace on the seek engines for no longer positioning this post higher! We are a group of volunteers and starting a new scheme in our community. Your site offered us with useful info to paintings on. You've performed an impressive task and our whole group can be thankful to you. Hello there, I found your site via Google while searching for a similar matter, your web site got here up, it seems great. I have bookmarked to favourites|added to my bookmarks. along with the student's expulsion from the academic program. Riders of the bicycles will also use the bicycle helmets for safety. Your style is really unique compared to other folks I have read stuff from. Thank you for posting when you have the opportunity, Guess I'll just book mark this web site.